The amount of plant nutrients uptake by rice crop, based on the yield, is presented in Table 3.1. More plant nutrients uptake can be expected at higher yields. The total plant nutrients removed from the field by grain rice is different from the amount plant uptakes during the growth period of straw and grain together (Table 3.2, Figure 3.1). 3.2.1 What is foliar feeding? Foliar feeding is a ‘by-pass’ approach, overtaking conventional soil applied fertilizer whenever it does not perform well enough. Foliar application overcomes soil fertilization limitations like leaching, insoluble fertilizer precipitation, antagonism between certain nutrients, heterogenic soils unsuitable for low rates, and fixation/absorption reactions like in the case of phosphorus and potassium. Foliar feeding can also be used to overcome root problems when they are suffering from limited activity due to low/high soil temperatures, lack of oxygen in flooded fields, nematode attack damaging the vascular system, and a decrease in root activity during the reproductive stages where more of the photosynthetic creation is transferred for reproduction with less for root respiration. Foliar feeding has proved to be the fastest way of curing nutrient deficiencies and boosting plant performances at specific physiological stages. With plants competing with weeds, foliar spraying focuses the nutrient application on the target plants. Foliar fertilizers are absorbed right at the site where they are used as quite fast acting, whereas, much of the soil fertilizers may never get used by plants. Foliar fertilization is widely used practice to correct nutritional deficiencies in plants caused by improper supply of plant nutrients to roots. Fertilizers have also been found to be chemically compatible with pesticides, thus saving labor costs. Fertilizers applied through the plant leaf canopy have to face several structural barriers. Nutrients, which are salt based (cations/anions) may face some problems penetrating the inner plant tissue cells. General leaf structure is based on several cellular and non-cellular layers. The different layers support protection against desiccation, UV radiation and various kinds of physical, chemical and (micro) biological agents. Several layers can be seen in Figure 3.2. The different layers are characterized by electrical negative charge, which influences the way and rate of penetration of different ions. Some layers are hydrophobic and therefore repulse water-based spray (Figure 3.3). The first layer from outside is a wax layer, which is extremely hydrophobic. The epidermal cells synthesize the wax and it crystallizes in an intricate pattern of rods, tubes or plates. The wax layer can change during the plant growth cycle. 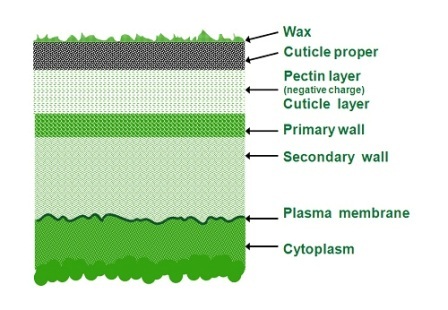 The second layer, referred to as the ‘cuticle proper’, is a non-cellular protective layer surrounded by wax to the upper side and the bottom one as well and made mainly from ‘cutin’ (macromolecule polymer consisting of long-chain fatty acids creating a semi-hydrophilic character). The following layer is ‘pectin’, negatively charged and made of polysaccharides that form sugar-acid based gel-like tissue (cellulose and pectic materials). Next is the outer side of the cells starting with the primary wall. The cuticle has negative charge density as well due to the pectin and cutin. The penetration of nutrients can be split into two stages: 1) into the tissue from outside, which is referred to as absorption; and 2) movement from the point of penetration to other parts of the plant that is referred to as translocation. Penetration/absorption can be done through several organ elements that exist in the tissue. Main penetration is done directly through the cuticle. The penetration is done passively. First to penetrate are the cations as they are attracted to the negative charge of the tissue, and they move passively in accordance to the gradient – high concentration outside and low one inside. After a certain period the cations that have moved inside change the electrical balance in the tissue causing it to be less negative and more positive. From this point on the anions start to penetrate the tissue in the same manner as described for the cations (Figure 3.4). Since the penetration is a passive one, the rate of diffusion across the membrane is proportional to the concentration gradient, therefore achieving a high concentration without scorching the tissue - which may dramatically improve the penetration. Penetration also occurs through the stomata, which are aperture controlled for gas exchange and transpiration. It is known that these apertures differ between different plant species, their distribution, occurrence, size and shape. In broadleaf crops and trees, most of the stomata are on the lower leaf surface, while grass species have the same number on both surfaces. Size may differ, for example, sorghum stomata are four times larger than bean stomata. 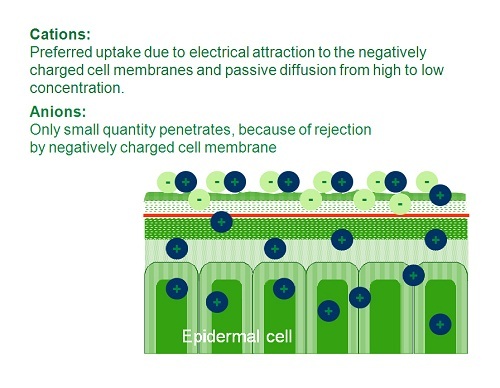 High penetration is estimated to be due to high cuticle pore density in cell walls between guard cells and subsidiary cells. In addition, the pores near the stomata guard cells seem to have different permeability characteristics. An opposite opinion exists, claiming that penetration through open stomata does not play a major role since a cuticle layer also covers the surface of the guard cells in stomata cavities and because ion uptake rates are usually higher at night when the stomata are relatively closed. Another path that nutrients can penetrate is through hair-like organs known as ‘trichomes’, which are epidermal outgrowths of various kinds. The importance of this pathway depends on the trichomes rate and position, dependent on leaf age and its origin. After the ions have penetrated, transportation to different parts of the plant starts and this is referred to as translocation. Translocation is done through two mechanisms: cell-to-cell transport is referred to as ‘Apoplast movement’, and transport through the vascular channels is referred to as ‘Symplast movement’. Passive transport involves diffusion according to the gradient and mass flow through the water/fluid movement between cells. 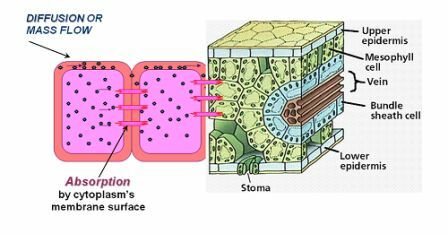 Absorption by cytoplasm membrane surface via plasmodesmata, which are microscopic channels connecting one cell wall to another, enabling transport and communication between them. Active transport (ATP) against the gradient, enabled due to energy investment of ATP molecules. Phloem – translocation is energy dependent and more suitable to the divalent cations (C2+); anions are very limited since the cell wall is negatively charged. Phloem transport is important for distribution from mature leaves to growing regions in the roots and shoots. 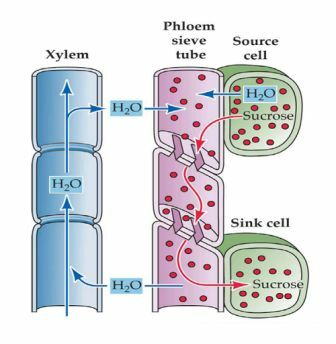 Phloem movement regularly follows the ‘sink-source’ relationship, from locations where carbohydrates are created (source) to places where they are consumed (sink). Xylem – translocation is flux regulated and driven by water potential differences between soil, leaf and atmosphere. Translocation differs between different ions, thus, nutrients are divided into three groups: mobile, partially mobile and not mobile. Haifa launched Haifa Bonus, a foliar formulation developed to enable spraying of highly concentrated solution without scorching of the foliage. Haifa Bonus consists of pure, fully-soluble nutrients only. Haifa Bonus is free of harmful compounds such as chloride, sodium, perchlorate, excessive sulfate, etc. Haifa Bonus is compatible for tank mixing with a large variety of pesticide and fungicides. Haifa Bonus contains a specially developed adjuvant for better adhesion to the leaf surface, improved absorption and prolonged action. Haifa Bonus is applied by foliar spray, possibly in combination with pesticides. A portion of the nutrients is absorbed immediately. Due to the addition of the special adjuvant, fertilizer clusters form and adhere to the leaf surface. When the air becomes hot and dry, the fertilizer droplets dry and nutrient uptake is temporarily halted. Haifa Bonus the special adjuvant improves the adhesion of the fertilizer to the leaf surface and creates fertilizer clusters that release nutrients over a prolonged period of time. During the night, when dew condenses on the leaves, the fertilizer is re-dissolved and nutrient uptake is renewed. On the next day, when temperature rises, the fertilizer dries and nutrient uptake is halted again. Fertilizer uptake by this mechanism lasts for several days, depending on the air temperature and relative humidity. Foliar fertilizers such as Haifa Bonus™+Zn are fast acting because they are absorbed right at the site where they are used. Foliar feeding of these fertilizers not only replenishes plant nutrients but also act as catalyst in the uptake and use of certain macronutrients. Research showed that all foliar applied nutrients are absorbed by the leaves. By spraying Haifa Bonus™+Zn directly on the leaf, it increases the activity in the leaf, at the same time increasing chlorophyll and thus photosynthesis. Because of this increased activity, it increases the need for water by the leaf. In turn, this increases water uptake by the plants vascular system, which in turn increases the uptake of plant nutrients from the soil. New rice varieties have higher photosynthesis capabilities and thus producing 35% more rice per hectare. The principle with foliar feeding is the same: increased photosynthesis. A small amount of foliar fertilizer applied, actually increases the uptake in terms of total uptake by several fold over the amount of soil fertilizer applied. A small amount of foliar applied plant nutrients can increase the yield so significantly, actually providing a better return per dollar outlaid than soil applied fertilizer. This does not mean that the application of Haifa Bonus™+Zn replaces the soil applied fertilizer, but increases its uptake. Numerous small-scale experiments and field trials with Haifa Bonus™ were carried out in many countries in order to determine: when to apply Haifa Bonus™, at what concentrations (rate) and how many applications (Tables 3.4 & 3.5). A variety of such trials are detailed below. Conclusion: best results were obtained with the formula 15-15-30+TE. Conclusion: Three sprays of Haifa Bonus at 40 & 60 & 75 DAS produced highest grain yield. Conclusion: Best results were obtained with 3 applications during 40, 60 and 75 days after sowing, at 3% spray solution.